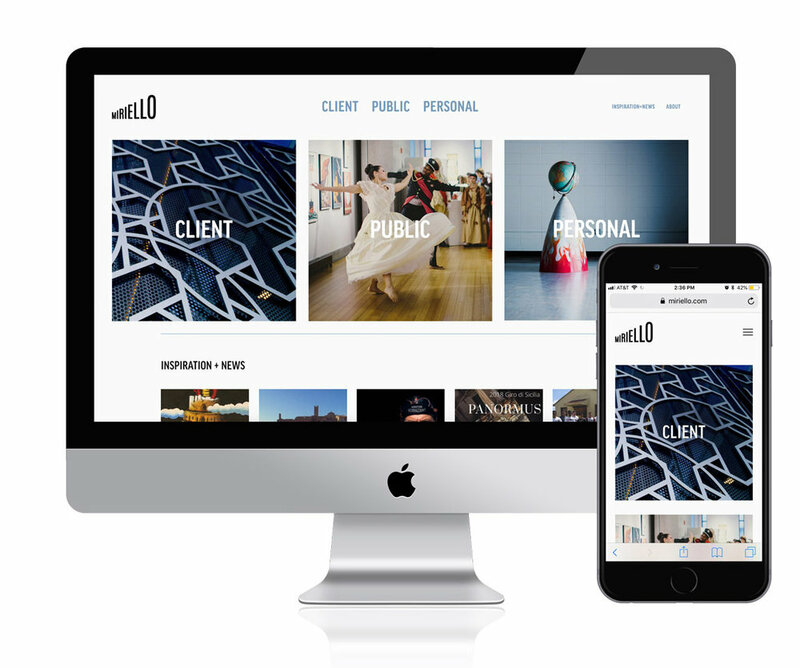 We have extensive experience designing responsive websites that elevate your brand and push your business forward. We implement the design using the Squarespace platform. One of the things I enjoy most is working with my friend and mentor Ron Miriello. 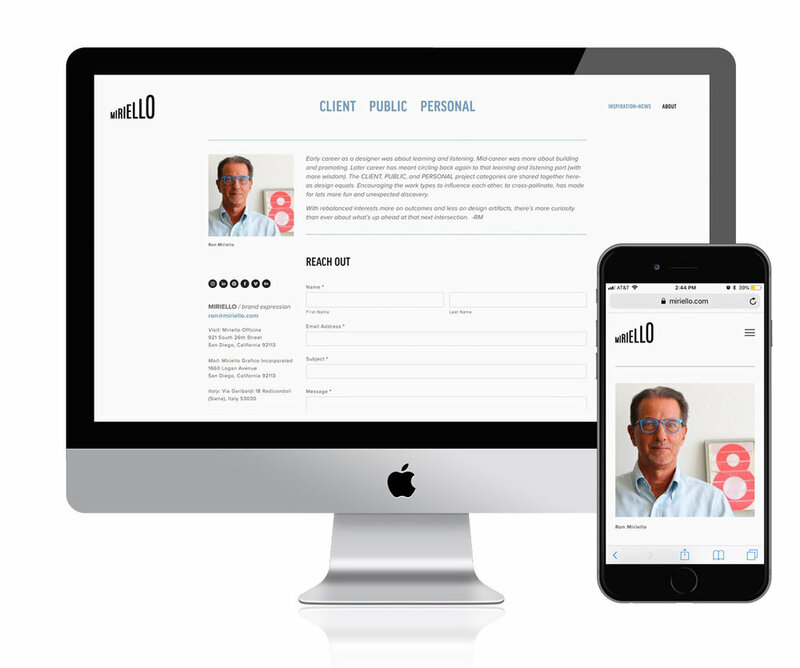 We recently redesigned his website to do more than display his client work, it also offers a window into the personal and public projects Ron is involved with. The website highlights Information + News by bringing his social feed on to the site. It’s an ideal platform for Ron’s many personal interests and travel journals. Bringing all of his creativity into one simple and meaningful site was both fun and rewarding. 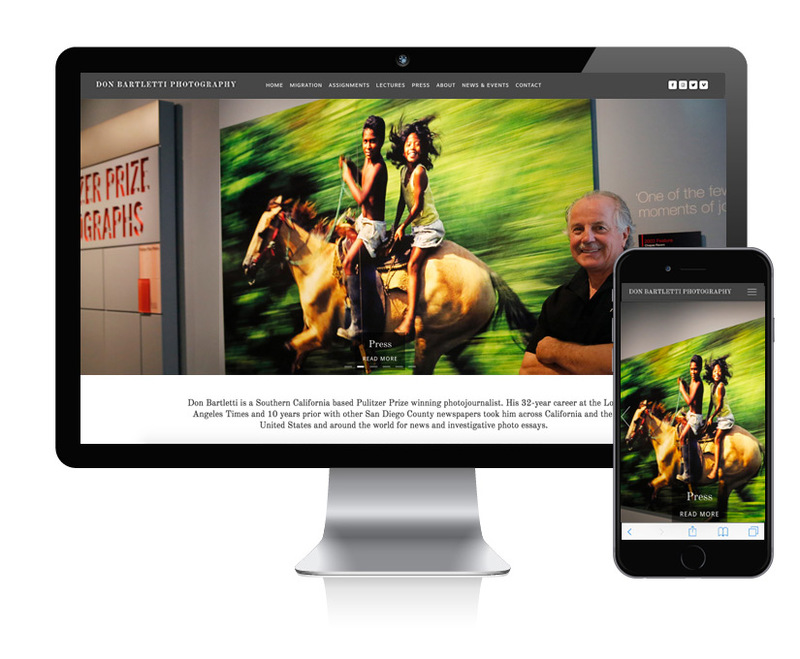 I was extremely honored to work with Pulitzer Prize winning photojournalist Don Bartletti, creating an online portfolio for his collection of photographs. The photographs span over the last 40+ years and focus on immigration and the US/Mexico border. Bartletti carefully crafted captions for his photos, giving each image a powerful story. I urge you to look at the site, see some of the images and read some of the stories for a truly thought provoking experience. Datron World Communications is a global leader in tactical military communication equipment headquartered in Southern California. They were in need of a new site that could showcase all 30+ of their multi-category products. FSG created slide galleries on the home page to easily lead users to the appropriate category in just one click. 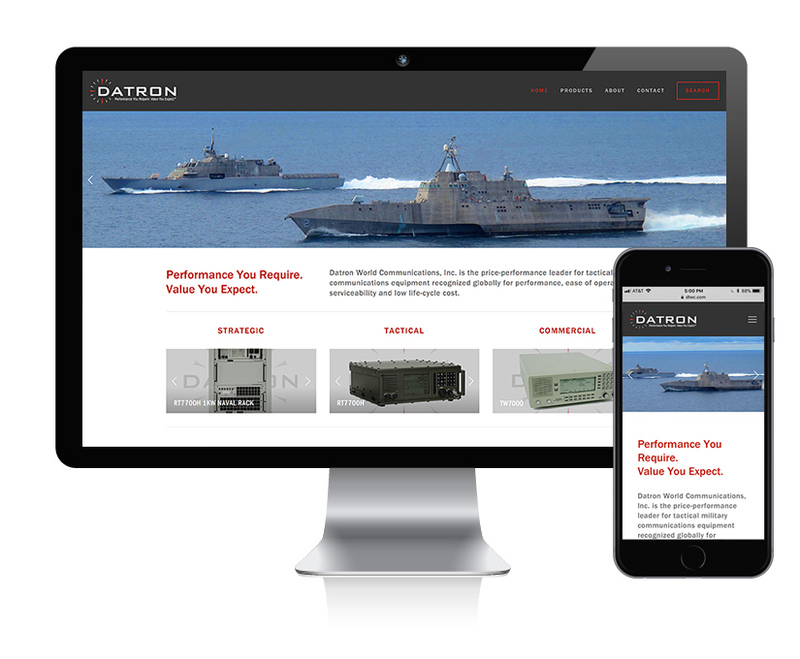 SquareSpace provided the ideal template solution for Datron, while allowing for some custom programming for mobile. The website serves as a sales tool, providing in-depth information about Datron’s product line to their customers. This passion project was lead by Ron Miriello who put together a traveling exhibition of Perestroika posters. We had the pleasure of designing a logo, T-shirts and a visually rich site to go with the exhibition that included a gallery of 50+ posters, events, newsfeed and an eCommerce store. 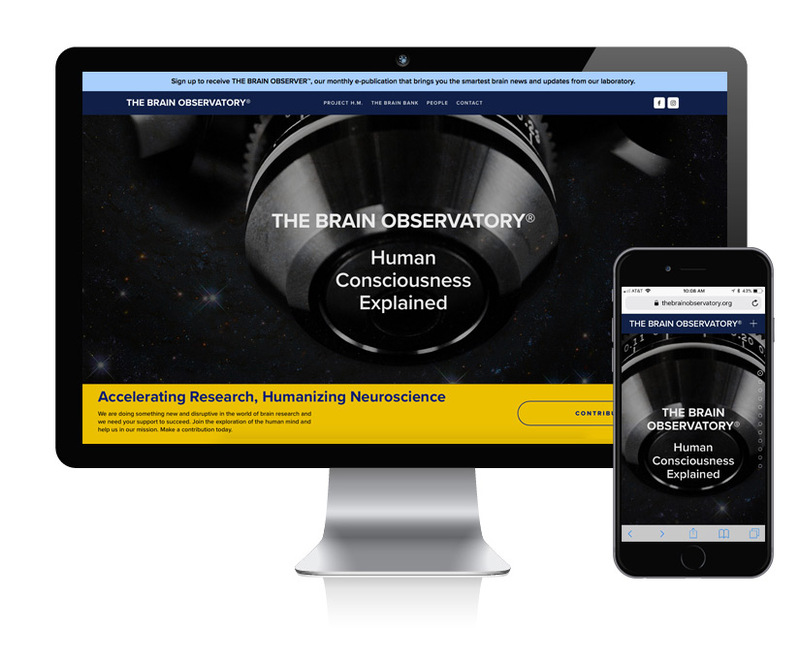 We launched a new website for The Brain Observatory which was presented at the Society for Neuroscience Convention. The Brain Observatory’s ultimate goal is to explain the link between mind and brain, science’s hardest problem. The informational site was designed in a long format style, presenting a case for support. It features a custom donation pop-up call to action and allows users to learn about their work, donate or find ways to collaborate with Dr. Jacopo Annese and his team. This is the third website we have had the pleasure of creating for interior designer Chris Burgin. Chris has made a name for himself in the design community with a focus on hospitality, retail and healthcare. I have worked with Chris for over 15 years and am proud of our collaboration on this recent project. From Flash, to Wordpress to SquareSpace - we have come a long way! We partnered with SLI to create a new visual identity system that represents better the company's mission: Inspire and Equip Leaders to Serve Others First. Once the new identity was completed, we translated all new elements and messaging into an ecommerce website with many marketing features including videos, blogs and a bookstore. It was an honor to work with artist Andrew Lutz on creating a beautiful platform for his body of work. A minimalistic website allows his paintings, sculptures and works on paper to stand and speak on their own. The Wet Lab is the brainchild of Jacopo Annese, Ph.D. a neuroscientist and culinary enthusiast. He has joined together with local San Diego chefs to create a catering experience focused on brain health and longevity. FSG designed and created a website for The Wet Lab that helps tie together the concept of neuroscience, tradition and taste. With increasing concerns in concussions among children, ImPACT Pediatric gives healthcare providers the tools to be proactive in concussion evaluations for patients 5-11 years old. Having just received FDA clearance for this tool, ImPACT partnered with SquarePublic to build a microsite, create product knowledge literature and tradeshow marketing that communicated the importance of their product. We worked with Pappalecco on a full rebranding project that included their logo, in-store signage, and most importantly a new website. The 20+ page site was developed using the Squarespace PACIFIC template. Aside from implementing all of their brand and style elements into the template, we designed 7 menu pages, a gallery and various forms including B2B wholesale and a custom enewsletter. We worked with The Institute for Brain and Society on a full rebrand that included their logo, brand identity, marketing materials and a new website. The goal was to create a brand that was approachable and sparked interest, even if you are not a scientist. The website features patient stories, a history of the organization, a brain atlas, and the ability to accept donations via PayPal. We were honored to help TIBS create a showroom that humanizes scientific data, and is making great strides in the fight agains neurological diseases. This project used 100 globes as the canvas, and engaged artists worldwide to collaborate. The website brings this collaboration into one place, highlighting the art and showcasing the video and book that emerged from the project. We worked very closely with the sculpture artist Ron Miriello to create custom messaging and graphics that were incorporated into the site.